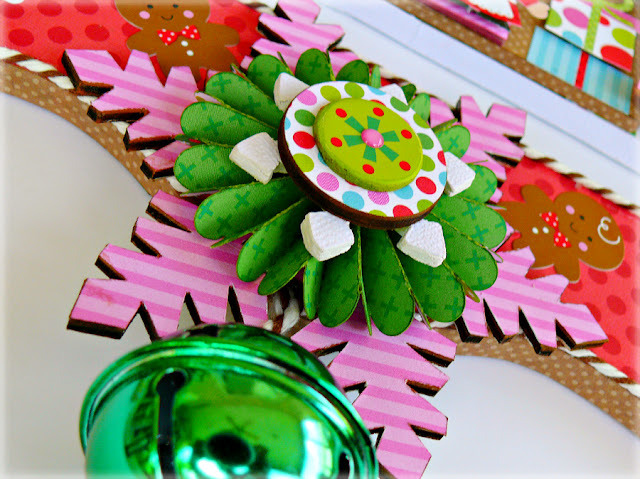 Hello Doodlebug fans! 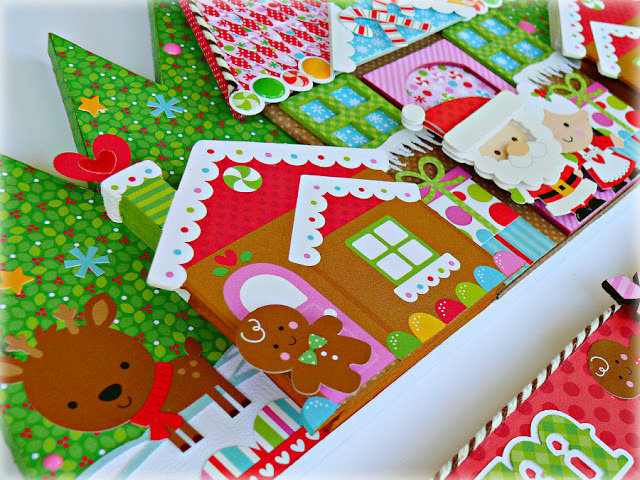 Jennifer here and today I have a project to share featuring the new Sugarplums collection. Christmas is definitely one of my favorite times of year and this collection is full of fun images of the season. Presents, cookies, ornaments and of course Santa Clause, just to name a few. Originally, I had planned to have this project freestanding. Using the bottom section as the base, but opted to have it hang it instead, as I have more wall room than counter space. Chipboard and foam core were used to create trees in the background and the "warm wishes"sign. The two sections were then connected using jump rings. The larger house was made out of raw chipboard, then chipboard windows and a door were added. 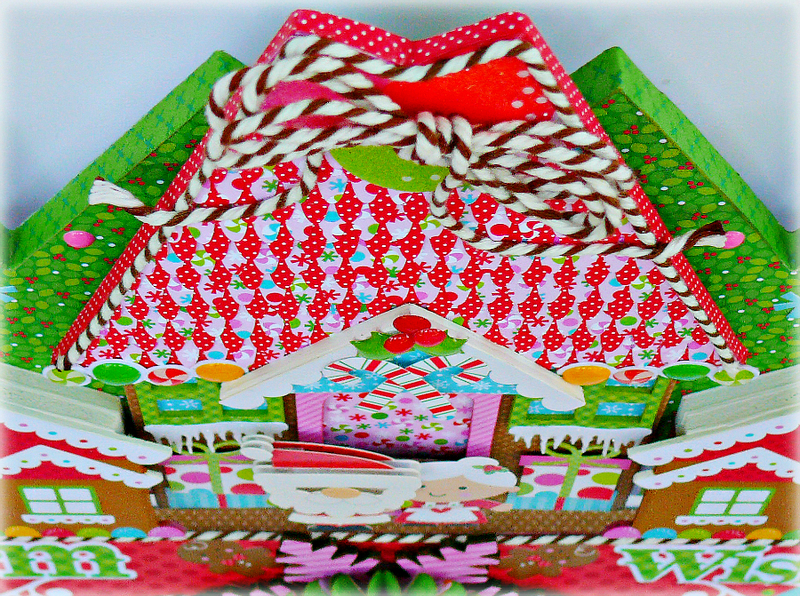 Don't you just love the peppermint sprinkles and holly from the collection? As you can see, I used lots of sprinkles on this project, along with die-cuts and stickers. Most of the patterned paper's used are from the 6x6 paper pad, as I needed the prints to be on the smaller side. I'm really loving DB's new Chunky Twine and used it to outline the sign and embellish the roof of Santa's house. 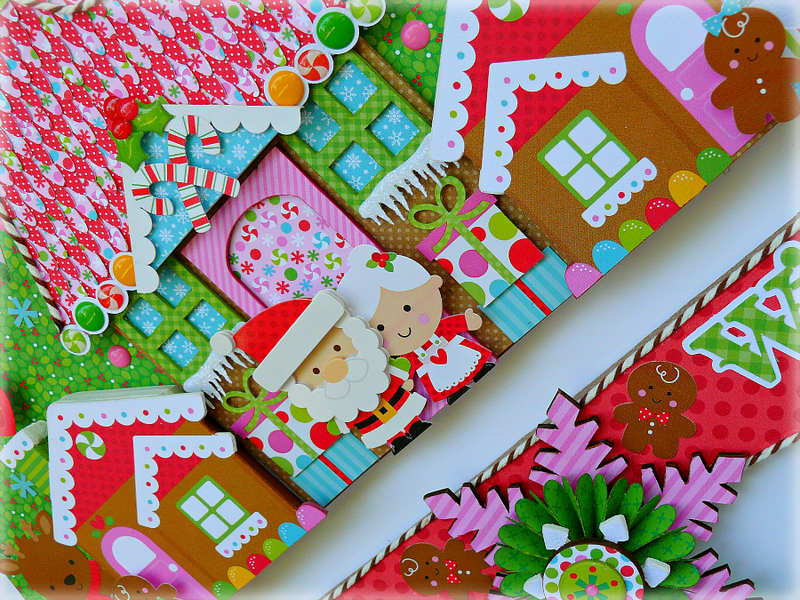 Nothing says "Christmas" more than glitter and bells, so I added some clear glitter to some of the candy die-cuts and icicles. Then I attached a wood snowflake and medium sized bell to the bottom of the sign. 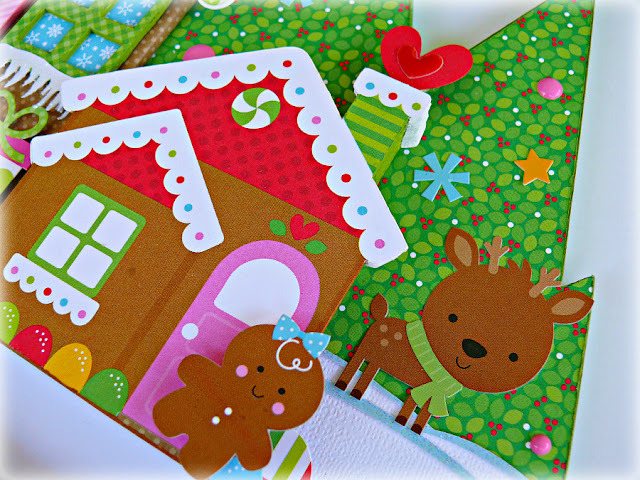 absolutely adorable -loving all the gingerbread men, the deer (super cute) and of course all the madly awesome layering and glittering! Extremely beautiful! Love every detail! Wow! This is amazing!! Pinning!! So cute! Love this design. Wow, I love all of the cute embellishments and details on this wall decor! Thanks for sharing. 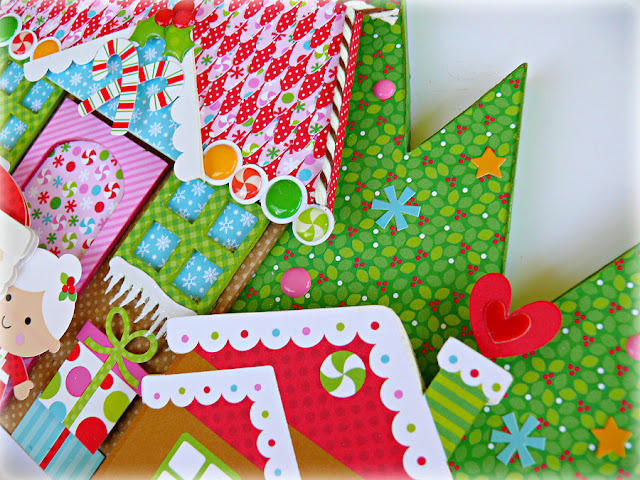 I pinned in my christmas crafts board. thi is so bright and happy! id llve to make it and hang it on our door!!! This is SO CUTE and so AMAZINGLY done!!! 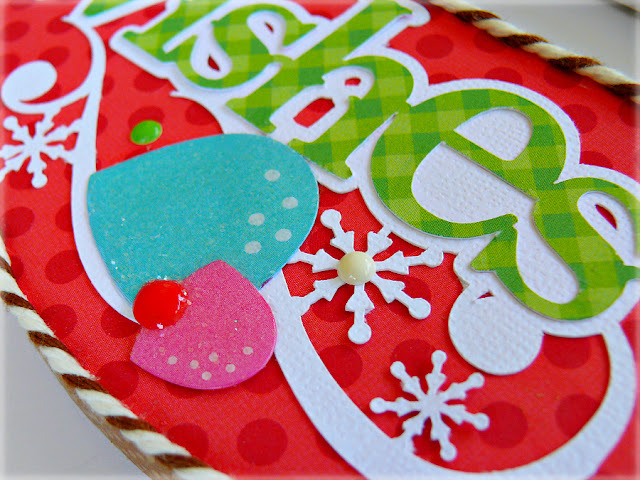 Love it -and think that Doodlebug Products ROCK!!!!! I shared this on facebook!! !